As a clever ruse to cover the fact that I’ve done nearly no knitting in the past…oh, I dunno…weeks?, I have some images to show you that I found this past weekend. I was building the new banner for this blog, and in the process I went looking for some images from Corbis.com, which is a site that offers royalty-free images to web programmers and graphic artists and really anybody who will register and/or pay, as required. The good news when building blog graphics is that the smallest iteration of the images are free to download, provided that the photographer in question, where available, is credited. I found the most amazing images, from all across the world and through time, depicting people spinning fiber into yarn. Men, women, then, now — it’s mind-boggling. So in my next few posts, since I have little else of substance to share, I thought I’d share some of these amazing images with you. If you have images of your own to share, I hope you’ll blog them or answer with them here! This image, which was not credited, is the "Self-Portrait of Archduchess Maria Christina", and is listed as 18th century. What caught my interest with this — aside from the fact that it’s a self-portrait! — is that teeny tiny spinning wheel in her lap. A LAP spinning wheel? SO cool! And teeny! Yes, I’m easily amused by small, shiny (or gleaming) objects. She appears to be turning the wheel by the wee crank (and oh the Google hits I may get from THAT one! Et tu, Mark Foley? Et tu? ), spinning the fiber off the attached distaff, and winding on to the bobbin. I would love to see a diagram of a contraption like that from several angles, because it is just entirely too intriguing for words. This image, "Diagram of Spinner’s Workshop", is from a 1770 book entitled the Dictionary of Sciences. The image from the book was taken by Phillip de Bay. In it, they show an image of daily work undertaken in the shop, and then below are diagrams of a single-treadle spinning wheel that appears to work with the spinner standing; a yarn swift with a very cool spindle-turned base, a few illustrations of flyer apparatus and distaffs, an interesting configuration of a niddy-noddy, and then something I can’t identify, but that may be a plying apparatus. I love to find images of this kind in part because the renaissance faire costumer and researcher in me adores historical "evidence" of the objects of my obsessions. But also, it is marvelous to see how connected we, the "new" crafty generation, are to our forebears. I finished putting the quilt top together yesterday! I now have to figure out what I want to do with the borders. Initially, mom and I had planned on a floral sort of cottage garden border with sunflowers and things twining about, but I laid this on the bed, and it’s already well over the sides. Also, I don’t want to detract from mom’s blocks, either. So I may just do some celtic knotwork, and then add in little bits of things that remind me of mom and my marriage (since this is technically a bridal quilt) like a where’s waldo sort of thing throughout the knotwork. Haven’t decided. But the top! It’s done! It’s hard to believe after all this time that the blocks are now all set and sewn together, and theoretically if I were to stop here, I could sandwich it and quilt it and it would be totally done. It’s almost as though I’m avoiding it being "done", because that will mean that this one thing I have that I worked on more or less "with" my late mother, will be done. I’ve been well and truly re-bitten by the quilting bug, now, however. This could conceiveably be dangerous. Oh, and I start a tribal fusion belly dance class this coming Wednesday, AND it’s That Time of the Month, which means the body image difficulties are in full swing. cedar chest. The legacy this quilt represents for both myself, my husband, and our daughter is difficult to quantify. My husband and I were both very close with my mother, and her early death caused my family huge amounts of pain and loss. So the fact that this quilt managed to make it through all the crap surrounding my mother’s passing to begin with is something of a miracle. My mother had both Multiple Sclerosis, and also another, extremely rare auto-immune disorder called Behcet’s Disease. In addition to the havoc wrought on her system by MS, her immune system began to attack her vascular system. It got very bad very fast after a very long diagnosis process, and she died in February of 2002, at the age of 46 years old. 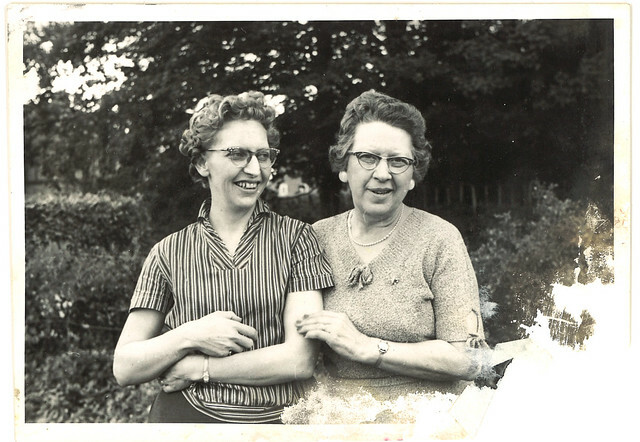 Before that, however, during the ten-odd years Mama spent as a semi- to total invalid, she found that hand applique, particularly in the Baltimore Album style, was one of the things she was still able to do, even on "bad" days. It was something I had shown her from my usual Craft-ADD repetoire that she took to immediately, and proceeded to take the art to glorious places. Other than this particular quilt, which was her first foray into the Album style, Mama tended towards more sophisticated designer’s blocks, like the famous Elly Sienkiewicz blocks that most folks identify with the genre. However, I have loved these simple blocks from the very beginning, and my mother’s sense of color, I think, made them all the more wonderful. She completed the hand applique of the remaining blocks for the quilt literally a week or two before she went into the hospital for the last time. She’d managed to complete all the blocks, and put the first three rows of the quilt top together before she was unable to do any more. My mother’s friend, and my quilting mentor, Judy Shapiro, had initially taken the quilt immediately following my mother’s passing, in hopes that she would be able to have it completed for me. Unfortunately, Judy’s own health was not the best, and she needed all her energy for her own quilt artistry — which, if you click the link, you will see is amazing. It took Judy and I several years, if you can believe it, to get our collective acts together long enough for me to go see her and collect the unfinished quilt. Seeing it again, after not having seen it since before my mother’s death, was indescribable. It still retains the cigarette smell from my mother’s home (now gone), and although I don’t generally like that smell, it brought her very close to me to open the bag, pull out the quilt, and remember seeing her working on each block with her hands I loved so much. There were three rows completed and pieced together in what’s called a Garden Maze setting by my mother before she died; then Judy and her quilting friends completed another row. Tonight, I put together the last row. Now I have to finish paper-piecing the setting squares for the setting strips, and the quilt top will be completed except for borders, which I will need to applique myself. The lower-most strip is the one I put together this evening, while the one above it is the one pieced together by Judy and friends. This seems an ideal project for the way I’ve been feeling of late. 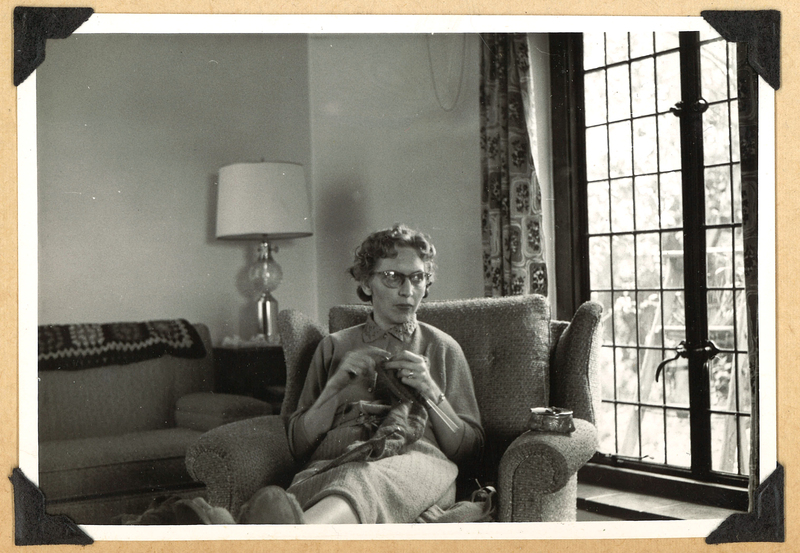 I always feel my mother’s absence acutely, but lately I have wanted more than ever to feel close to her, and to embrace the legacy of handcrafts and needlework that she left with me. I want my little girl to have something, when she marries or is ready to accept it, that the grandmother she never knew stitched by hand, that her mother completed, and that has ties to other women of our family and the crafts we all have in common. So if you’re interested, I’ll try to post my progress here and let you know where things are. This has languished quite long enough, and I am ready to have the quilt complete in such a way that I can hug it close during the times I miss Mama the most. I took a photo of every block this evening, but the light is lousy after dark, imagine that! So I will re-take those later, and if enough interest is out there for it, I’ll post the photos of blocks of my own I’ve appliqued, other quilt projects I have in the works, and etc. I leave you with a few photos of Sophie, seated in the big bay window of our living room this past weekend, enjoying the sunshine and her Fireman Woody doll with the pull-string and everything, just like one of her favorite Pixar movies. We are hoping to make the Cars movie her first seen on the big screen; we’ll have to see, however, whether it’s too early to take her to something like that, or if she’ll be as enthralled as we hope. Certainly we are constantly enthralled by her.